Home › Fundraising Story › Thank you to the Vale Golf Club! A huge thanks to everyone at the Vale Golf Club near Evesham who this week presented us with a cheque for over £8,000 from fund-raising activities they have run over the golfing year. We massively appreciate it and thank you all sincerely. 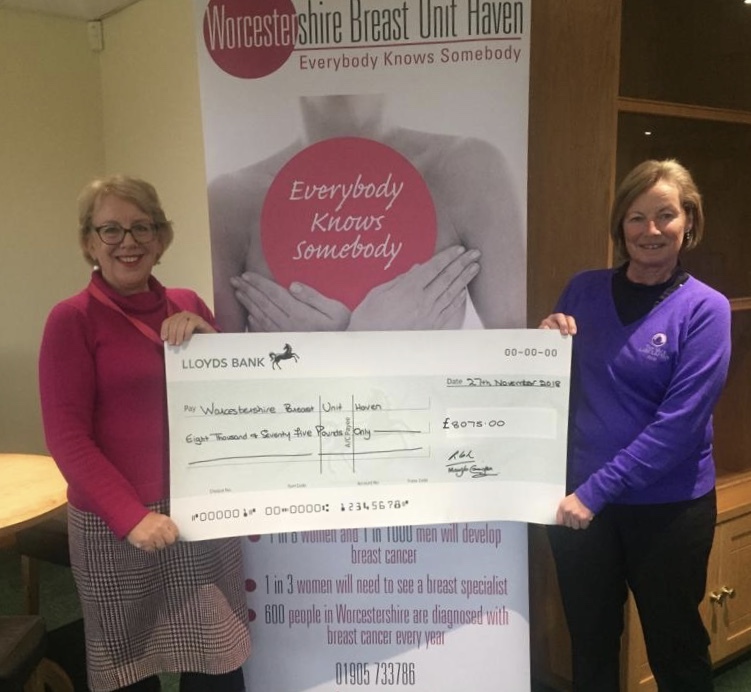 Pictured here is the Vale’s outgoing Lady Captain Rosie Loh (on the right) presenting the cheque to Jacquie from our charity office.